The Coordinate Metrology Society® (CMS) today announced it has formally issued a call for technical papers for the 35th annual Coordinate Metrology Society Conference (CMSC) to be held July 22 – 26, in Orlando, FL. The CMSC provides an inclusive knowledge platform for subject matter experts from the portable and traditional Coordinate Measurement Machine (CMM) communities. Author practitioners are encouraged to submit abstracts covering technological advancements, research findings, successful implementations, and best practices. Since 1984, more than 525 original technical papers have been presented to the eminent membership association for measurement professionals worldwide. The organization maintains a digital library of more than 100 technical papers delivered at the CMSC over the past twelve years. Ideal for research, this is the most comprehensive repository of metrology knowledge and information in the world. Click HERE to learn more. The Coordinate Metrology Society Conference is a premier venue for metrology practitioners and scientific researchers. 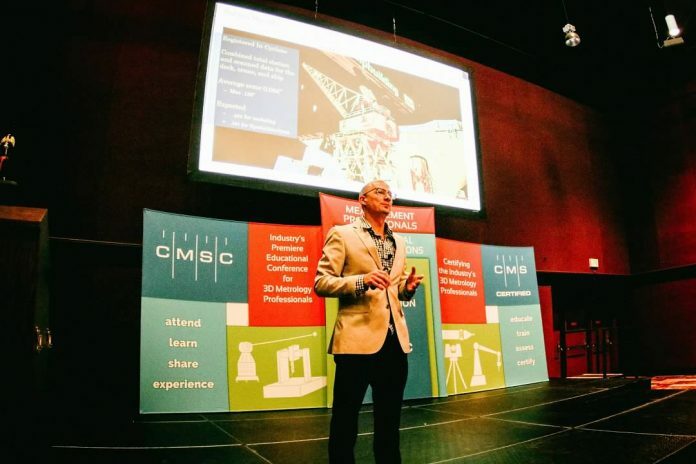 The CMS seeks original, expert contributions or major developments in previously reported work on topics that include, but are not limited to: case studies, technology benchmarks, metrology solutions for automation, process control, assembly and more, as well as other Smart Factory trends that unlock the potential of 3D metrology technologies. Each new harvest of technical papers serves to introduce next-generation ideas and forge a collaborative bridge between professionals with different skill levels, as metrology becomes more impactful across the manufacturing domain than any time before. Submissions are accepted from master practitioners working in the portable and traditional CMM fields. Commercial content is not accepted by the CMS. All technical papers that are presented at CMSC 2019 will be reviewed, scored and selected by the CMS Executive Committee for publication in the prestigious Journal of the CMSC. Authors and researchers are also encouraged to cite CMSC technical papers if referenced in their own technical papers. The comprehensive CMSC Technical Paper Guidelines document can be downloaded here. The Coordinate Metrology Society supports the ongoing development and career advancement needs of expert and novice metrologists. A record-breaking 28 authoritative technical papers and presentations were delivered in the 2018 CMSC conference programming. Attendees enjoyed a wide range of topics including automated part inspection using CNC machine probing, laser tracking measuring systems with an integrated traceable frequency comb, and automated Coordinate Measuring Machine uncertainty analysis. Speakers represented many leaders in the field: Boeing South Carolina, Tusas Engine Industries Inc., Lockheed Martin Aeronautics Company, Newport News Shipbuilding, Boeing Canada, Metrosage llc, Electroimpact, Argonne National Laboratory, Los Alamos National Laboratory, MIT Lincoln Labs, Fermi National Accelerator Laboratory, National Institute of Standards and Technology (NIST), National Physical Laboratory (NPL-UK), Missouri University of Science and Technology, Tianjin University, Chinese Academy of Science, and University of Bath Mechanical Engineering. The Coordinate Metrology Society Conference (CMSC) is the world’s premier event for Measurement Technology Professionals sponsored by the Coordinate Metrology Society. Established in 1984, the five-day annual conference is held each year at a different location, and attracts visitors from around the globe. CMSC is acclaimed for its comprehensive program of top-shelf white papers and applications presentations given by industry experts from science/research laboratories and manufacturing industries, such as aerospace, space hardware, antenna, automotive, shipbuilding, power generation, and general engineering. No other trade show rivals the high level of authoritative information provided by CMSC members and master users of portable and traditional CMM metrology solutions for quality control, quality production, and precision assembly. For more information, visit www.cmsc.org or contact marketing@cmsc.org.